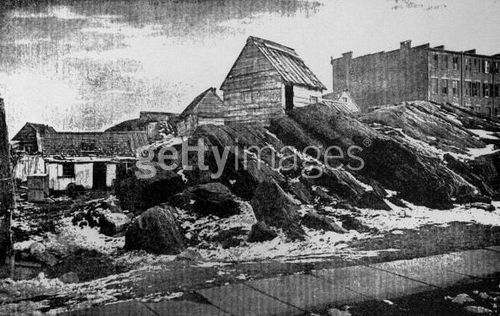 A view of shacks sitting behind a group of rocks, with snow on the ground. A half-tone photomechanical reproduction of a photograph by Steven Henry Horgan. This illustration was published in the New York Graphic. The legal rights issues on this image are far from clear although Getty Images markets it.